The troubled production of the second season of American Gods has somehow managed to get even more troubled. To rewind a little, Fremantle Studios bought the rights to Neil Gaiman's 2001 novel American Gods several years ago. After developing the project at HBO with Gaiman involved as head writer, HBO chose not to proceed (surprisingly late in the day). Fremantle took the script to Starz. Starz greenlit the project, managing to win the services of the much-in-demand Bryan Fuller and producing partner Michael Green to work as showrunners and head writers on the project. Gaiman continued to be involved closely as an active producer. Early tensions apparently emerged when it became clear that Fuller and Green had their own vision for the project, which was not quite in keeping with Gaiman's. Gaiman wanted a close adaptation of his novel, whilst Fuller and Green wanted something slower-paced and more like a magic realist fable, with complex visual dream sequences and flashbacks, some incorporating elements from Gaiman's other stories in the same setting and others completely original. Starz, who were funding the project to the tune of $7 million per episode, sided with Fuller and Green, and Gaiman and Fremantle's preferences were shut out. Executive producer Stefanie Burk, however, was able to keep the two factions talking to each other. Despite this tension, the production of the first season of American Gods went relatively smoothly until fairly late in the day, when Starz began to get alarmed over the rising costs. They slashed two episodes from the season's length in an effort stop the overruns. Once filming was concluded, they allowed Fuller and Green to complete post-production, at which point it became clear that the season had gone $30 million - the equivalent of over four full episodes - over-budget. This may rank as one of the biggest overspends in television history, but fortunately Amazon swept in and saved the day by spending a huge amount of money on buying the international broadcasting rights to the series, dwarfing the overspend and putting Starz back into profit. Apparently a meeting was held where Starz agreed to keep Fuller and Green on board, with the firm understanding that such a cost overrun could not happen again. 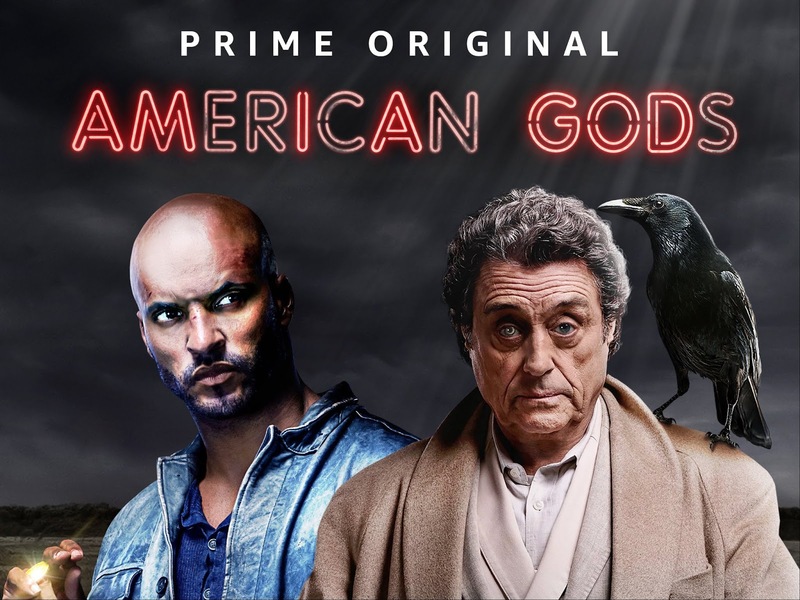 A second season was ordered, this time for 10 episodes, and the budget was increased to $10 million an episode, making American Gods the third-most-expensive show on air (after only Game of Thrones and The Crown). Not long after this agreement, however, Fuller and Green presented the scripts for the first six episodes of the season to Starz and it was clear this budget was going to be insufficient. With Fuller and Green refusing to make needed cuts, they were fired from the show. Jess Alexander was brought in to replace them as showrunner and head writer. Alexander was a close friend of Neil Gaiman's, but had also worked closely with Fuller on Star Trek: Discovery and Hannibal. Although he wouldn't be on-set (as he was showrunning the Good Omens project in the UK), Gaiman agreed to take a more direct involvement on the second season, making bigger decisions. The general feel was that Gaiman and Alexander would hew the TV show closer to the novel whilst maintaining the spirit and feel of the first season but without breaking the bank. To this end, they also dumped Fuller and Green's scripts for Season 2, preferring to start from scratch. According to the Hollywood Reporter, trying to wear all these caps simultaneously proved impossible. Actors complained of the quality of scripts compared to the first season, with actor Ian McShane apparently coming up with better dialogue by himself on set (leading to alleged "screaming matches" with Alexander). Starz demanded hefty rewrites to Alexander's scripts. To make things worse, actress Gillian Anderson had quit over Fuller's firing and producer Stefanie Burk had left the company altogether, removing a key moderating influence on set. To try to salvage things, Starz have slashed the episode count (again) to eight and have reportedly now sidelined Jesse Alexander after being hugely unsatisfied with his script for the season finale, promoting supervising producer Chris Byrne and line producer Lisa Kussner to the showrunning position as an interim measure (to put two junior producers into such a role is extraordinary). Exactly how Starz will get the show back on track remains to be seen. They have, however, indicated that the media reports are overblown and are promising to drop a trailer for Season 2 in a few weeks to restore some faith in proceedings. Star Ricky Whittle, meanwhile, has also said that reports of chaos on set are in error. American Gods is expected to return to the screen in early 2019, one way or another. I was a huge fan of the book, and I think that the deviations from source material made for a better TV show than a closer adaptation would have. Hopefully season 2 can meet the high bar set by the first season.